"Art systematically eliminates," Mondrian said, "the world of nature and man." He wanted art to be as mathematical as possible, a blueprint for an organized life. 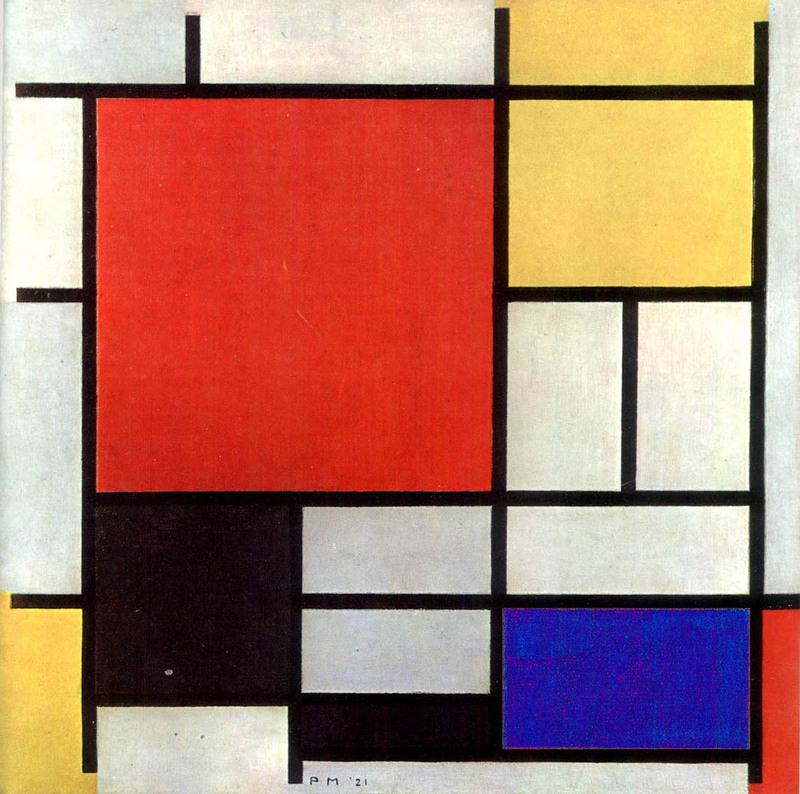 A control freak, Mondrian even transformed his own environment into one of his paintings. He covered his studio walls with rectangles in primary colors or gray, white, and black. Although the studio was as sparsely furnished as a monk's cell, he kept an artificial tulip in a vase, its leaves painted white (since he had banned the color green.) He painted all furniture white or black and his record player bright red*.